I have seen, again and again, how dynamic social media has the power to increase sales and to bring in new guests: I would like to contribute to Union League Cafe’s success by bringing to the table my passion and more than fourteen years of experience, to join the ULC’s media team in whatever role best enhances our dynamism. 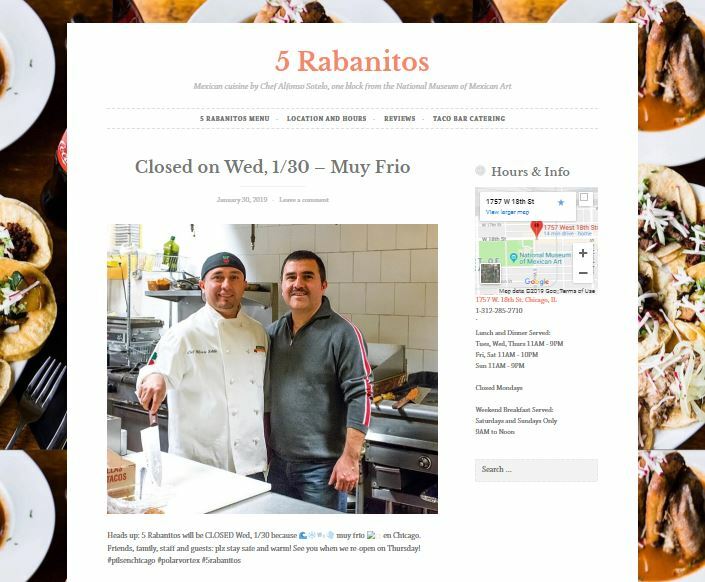 I currently manage all media for 5 Rabanitos’ restaurant in Chicago. Chef Alfonso and I had previously worked together for Rick Bayless. We continued our close working relationship ever since the opening of his family-owned neighborhood restaurant. 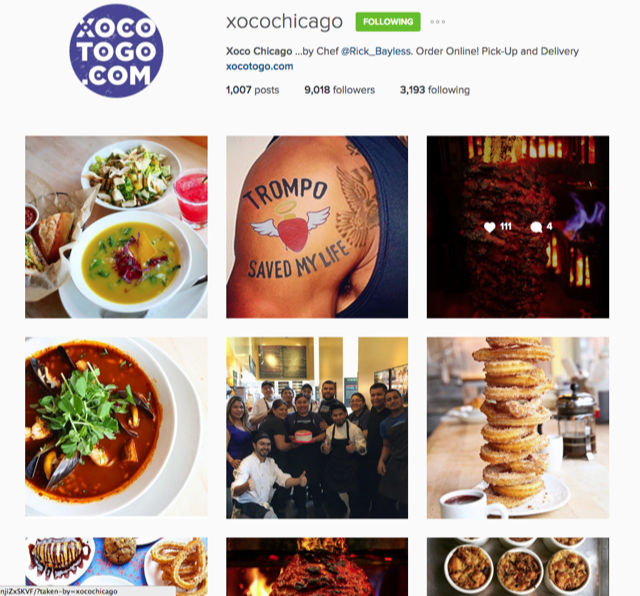 I created and have grown the Instagram account to over 1700 followers, and the Facebook business page to more than 2600 likes. Chef sends me photos of his specials every weekend, which I edit and post (I craft all the wording), and I am re-posting guests’ photos several times a week as well. From Leña Brava’s opening thru the first two years, I managed all social media and the WordPress website. Once a month or more, I would bring my DSLR camera for a photoshoot of all the new dishes being added to the menu. I was also able to capture video of the culinary team prepping, cooking and plating their creations. Every month I edited a video teaser of the new menu items and published this across all social media. I updated the WordPress website with the new photos and menu PDF’s every month. The photos I posted on a daily schedule, to Instagram and Facebook. In addition to the formal monthly menu change process, I also took photos of prep, service and the staff, with my iPhone. Managed the Instagram and Facebook accounts. 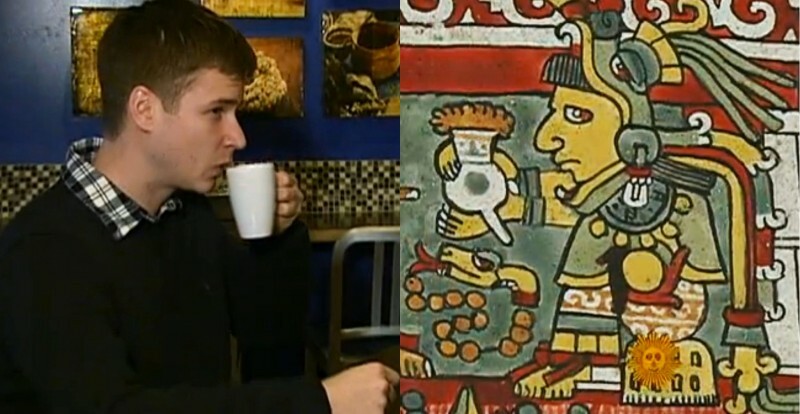 Before I moved to Connecticut, I archived all of my photos from the restaurant’s opening two years, by category: seafood https://3rdarm.biz/los-surfos/bajaseafood/ wine https://3rdarm.biz/los-surfos/valle-de-guadalupe-wine/ cocktails https://3rdarm.biz/los-surfos/mezcal/ cooking https://3rdarm.biz/los-surfos/wood-fire/ the staff https://3rdarm.biz/los-surfos/the-staff/ the restaurant exterior https://3rdarm.biz/los-surfos/a-song-of-ice-and-fire/ and more. 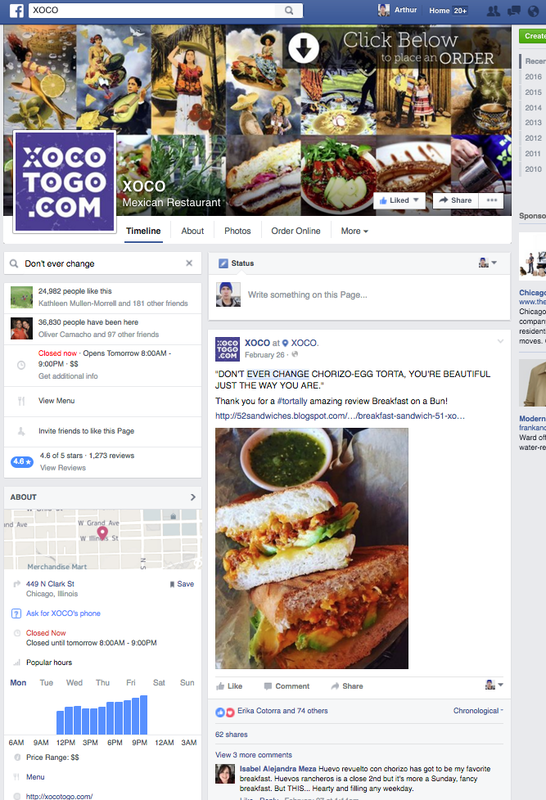 For five years, I managed the WordPress website and all social media at Xoco. In 2013, I helped the media director David Tamarkin migrate the RickBayless.com website to the WordPress publishing platform. I posted on Facebook and Instagram every day. 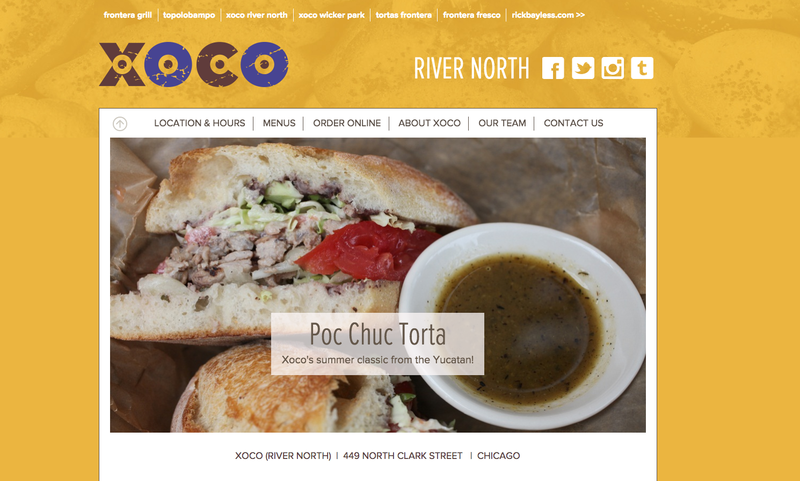 Every month, I published a WordPress blog on the new seasonal menu at Xoco, including a slideshow of the new dishes. I managed all media for the East Coast Grill & Raw Bar in Cambridge, MA: I built and maintained the website, administered a monthly newsletter, created and managed Facebook and Instagram accounts. I posted on Instagram and Facebook every day. 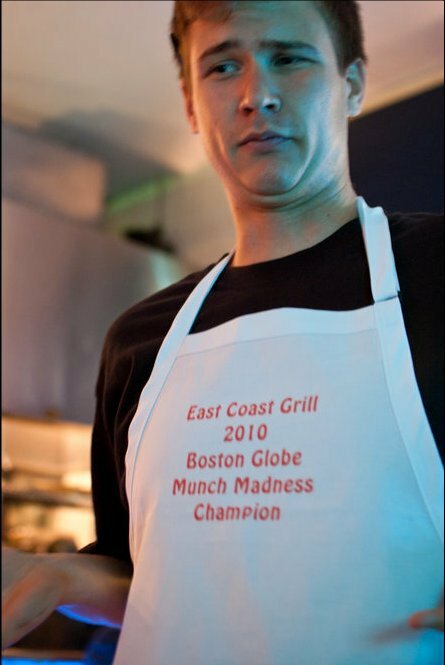 In 2010, we won the Boston Globe’s first ever “Munch Madness” championship, on the strength of our social media audience. While the ECG has since closed after a run of more than thirty years, the Boston Globe’s annual “Munch Madness” restaurant competition continues to this day.